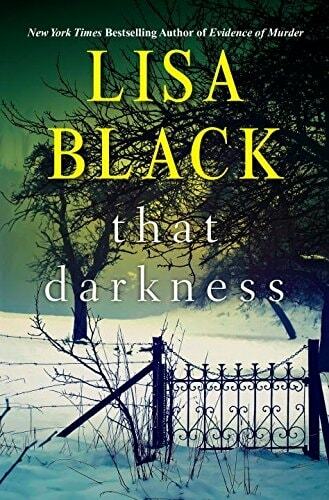 VJ Books Presents Author Lisa Black! Lisa Black grew up in Cleveland, Ohio. She liked writing stories even as a child, and wrote 6 unpublished novels over the course of 10 years spent working as a secretary. She then decided to change careers. Black graduated from Cleveland State University with a degree in Biology, and then found a job as a forensic scientist at the Cleveland Coroner's Office. She worked there for 5 years before relocating, with her husband, to Florida. 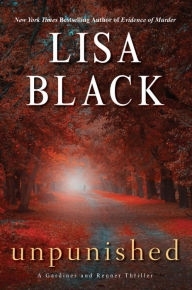 Black's first published novel, Trace Evidence (2005), was written under the pseudonym Elizabeth Becka, as was a second book. She has also written under the name Beth Cheylan, as well as many titles using her real name. 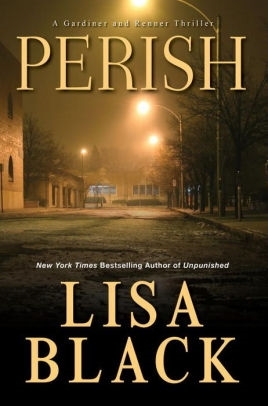 She in the mystery, crime, and thriller genres, and draws upon her experience as a forensic scientist. She is best known for her bestselling Theresa MacLean series. Black is a certified latent fingerprint examiner and crime scene investigator in Florida, and currently works for the Cape Coral police department. Black is a member of the American Academy of Forensic Sciences, the International Association for Identification, and the International Association of Bloodstain Pattern Analysts. She has testified in more than fifty homicide trials. Black lives in Cape Coral, Florida. Author Signed Bookplate. Self-adhesive label, approximately 3" x 4" (though sizes may vary slightly), signed by Lisa Black. Author Signed UK Hardcover Book. 2012 LON: Severn House Publishers First UK edition, first printing, mint, new/unread in flawless pictorial boards, no dust jacket as issued, signed by the author. Author Signed UK Hardcover Book. 2014 LON: Severn House Publishers First UK edition, first printing, mint, new/unread in flawless pictorial boards, no dust jacket as issued, signed by the author. Author Signed Hardcover Book. September 2011 NY: HarperCollins First edition, first printing, mint, new/unread in a flawless dust jacket, signed by the author. Each dust jacket is protected in an acid-free archival quality acetate cover. Author Signed Hardcover Book. September 2011 NY: HarperCollins First edition, first printing, fine in a fine dust jacket, signed by the author, remainder marked. Each dust jacket is protected in an acid-free archival quality acetate cover. Author Signed Hardcover Book. September 2009 NY: HarperCollins First edition, first printing, fine in a fine dust jacket, signed by the author, remainder marked. Each dust jacket is protected in an acid-free archival quality acetate cover. Author Signed Hardcover Book. January 2018 NY: Kensington First edition, first printing, mint, new/unread in a flawless dust jacket, signed by the author. Each dust jacket is protected in an acid-free archival quality acetate cover. Author Signed UK Hardcover Book. 2013 LON: Severn House Publishers First UK edition, first printing, mint, new/unread in flawless pictorial boards, no dust jacket as issued, signed by the author. Author Signed Hardcover Book. August 2018 NY: Kensington First edition, first printing, mint, new/unread in a flawless dust jacket, signed by author. Each dust jacket is protected in an acid-free archival quality acetate cover. Author Signed Hardcover Book. April 2016 NY: Kensington First edition, first printing, mint, new/unread in a flawless dust jacket, signed by the author. Each dust jacket is protected in an acid-free archival quality acetate cover. Author Signed Hardcover Book. September 2010 NY: HarperCollins First edition, first printing, mint, new/unread in a flawless dust jacket, signed by the author. Each dust jacket is protected in an acid-free archival quality acetate cover. Author Signed Hardcover Book. September 2010 NY: HarperCollins First edition, first printing, fine in a fine dust jacket, signed by the author, remainder marked. Each dust jacket is protected in an acid-free archival quality acetate cover. Author Signed Hardcover Book. January 2017 NY: Kensington First edition, first printing, mint, new/unread in a flawless dust jacket, signed by the author. Each dust jacket is protected in an acid-free archival quality acetate cover.